Indie/Alternative Rockers American High Release Highly Anticipated New Album "U.N. 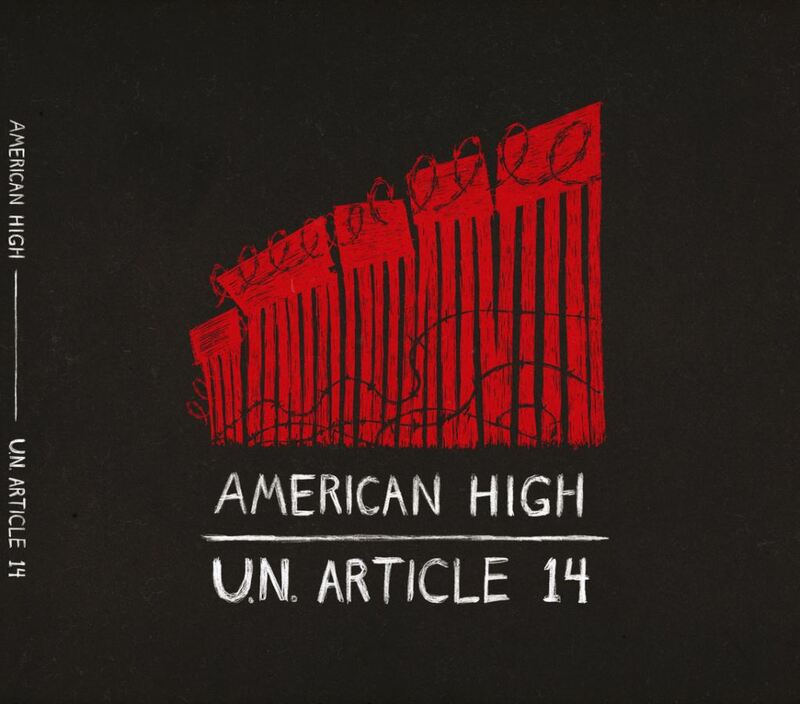 Article 14"
Indie/Alternative rockers American High have just released their highly anticipated new album "U.N. Article 14" on the heels of winning the prestigious PureM Music Award for Best US Music Video for their hit single "Cheye Calvo." American High "U.N. Article 14"
EL DORADO HILLS, Calif. - Jan. 8, 2019 - PRLog -- Indie/Alternative rockers American High have just released their highly anticipated new album U.N. Article 14 on the heels of winning the prestigious PureM Music Award for Best US Music Video for their first single off the album titled Cheye Calvo. American High are a punk and 60's influenced indie/alternative rock group from Sacramento, California. They play 'catchy tunes with dark themes'. Their sound and lyrics have an optimistic perspective on the personal, the social and the political. U.N. Article 14: We were all born with the right to seek AND TO BE GRANTED asylum in any country we choose. (Doesn't count for regular crimes). If asylum is a right we each were born with, and if we were all created equal, why are we turning asylum seekers away at the southern border? Another example of the U.S. violating this god given (or DNA given) right is the MS St Louis in 1939. 900 German Jews escaped the Nazis and headed for the US and liberty. But they were turned away. Canada too, as well as other nations. These 900 human being returned to Germany because no one would grant them asylum. And most were murdered in concentration camps. We want Americans to know,..we're doing it again! Rise up and end these Human Rights violations. Their first single/video "Cheye Calvo" brings awareness to the immorality of NO KNOCK search warrants, a controversial topic that victimizes many innocent people in the United States today.